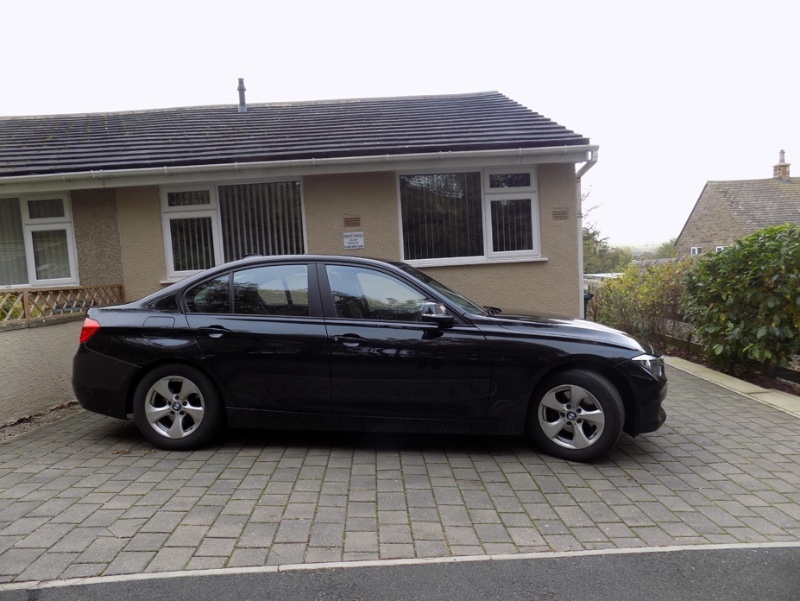 a semi-detached two-bedroomed bungalow located on a small, private estate just on the outskirts of Ingleton. More details below and on our website. 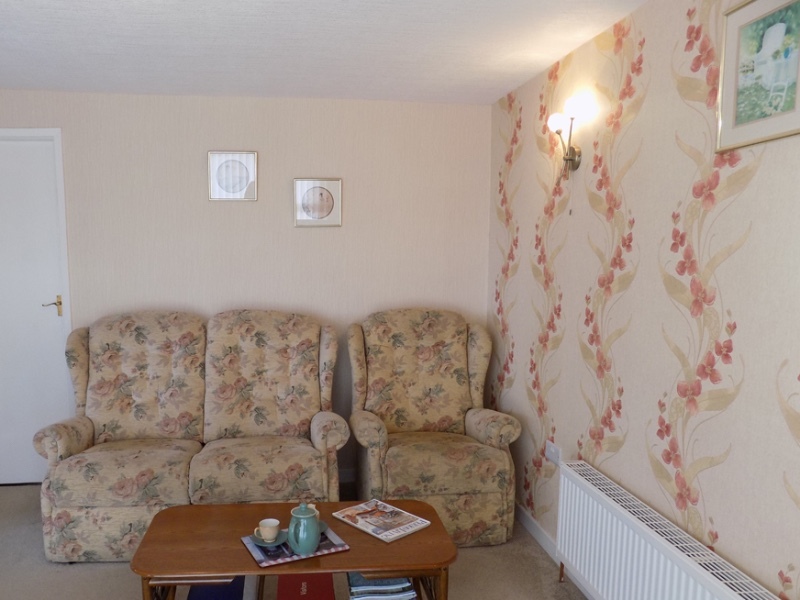 It is situated in a commanding position enjoying scenic views over the surrounding countryside. 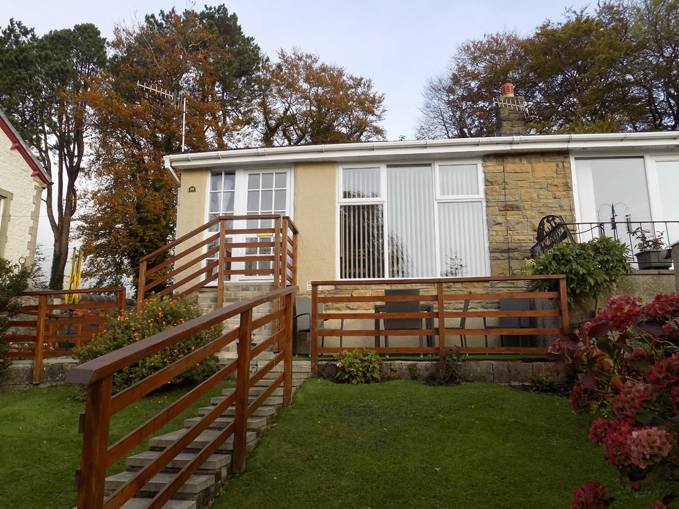 Ideally positioned at the foot of Ingleborough the bungalow is ideal for those wanting either a relaxing holiday or to walk and explore the beautiful countryside. 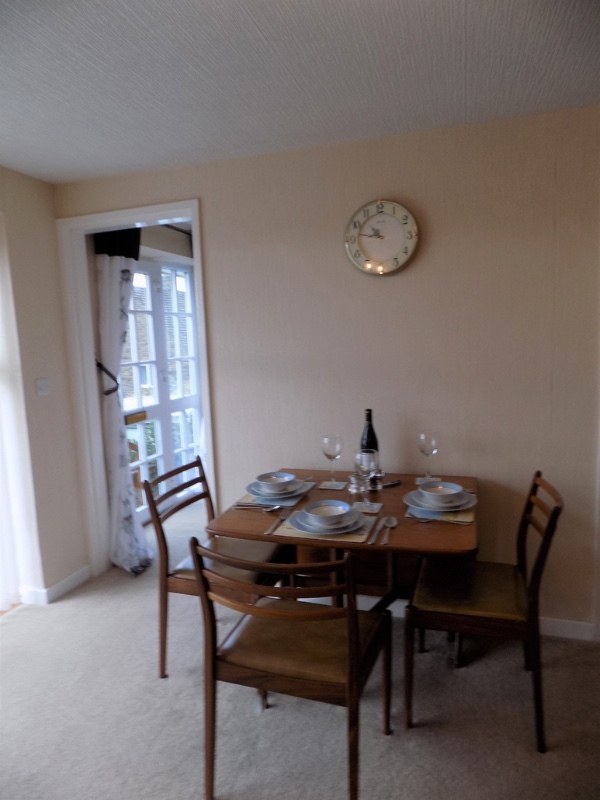 Recently upgraded to a high standard with free WI-FI, gas central heating, this cosy and delightful bungalow sleeps three in comfort. Double bedroom with divan bed, double wardrobe, and cabinet beside the bed with lamp. 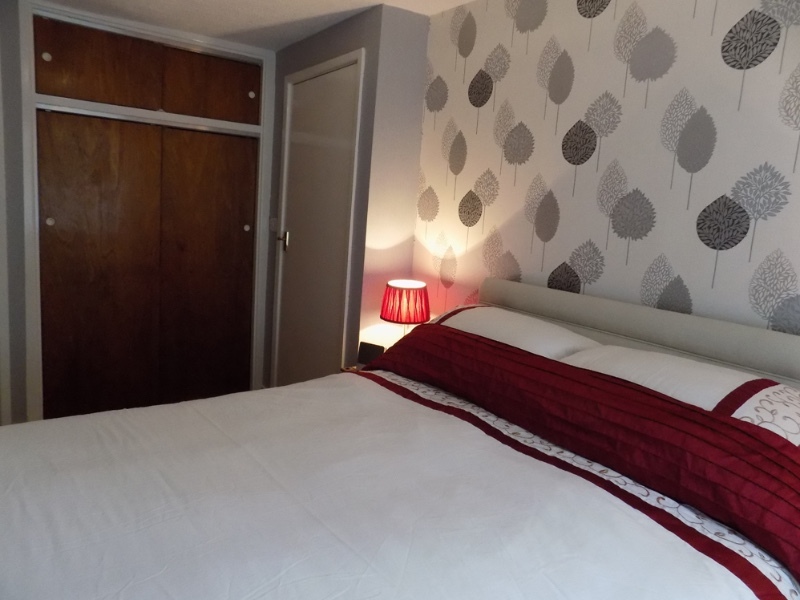 Single bedroom which also has a double wardrobe with plenty of clothes storage and cabinet beside the bed with lamp. 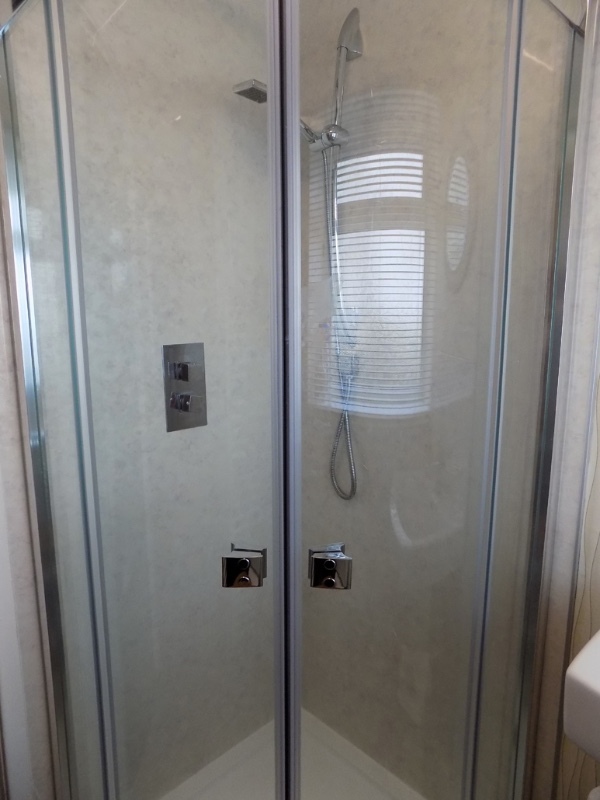 Shower room with walk in cubicle, WC and wash basin. 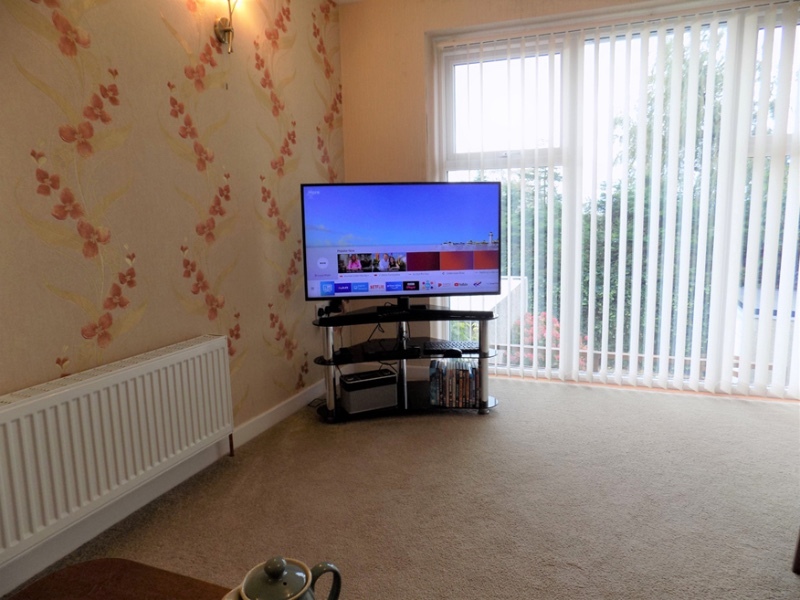 Living room with comfy seating, HD Smart TV, Blu-ray DVD player and a DAB radio, plus a dining table with chairs. Large glass windows let the light flood in. Kitchen, equipped with washing machine, microwave, fridge/freezer and cooker (electric). 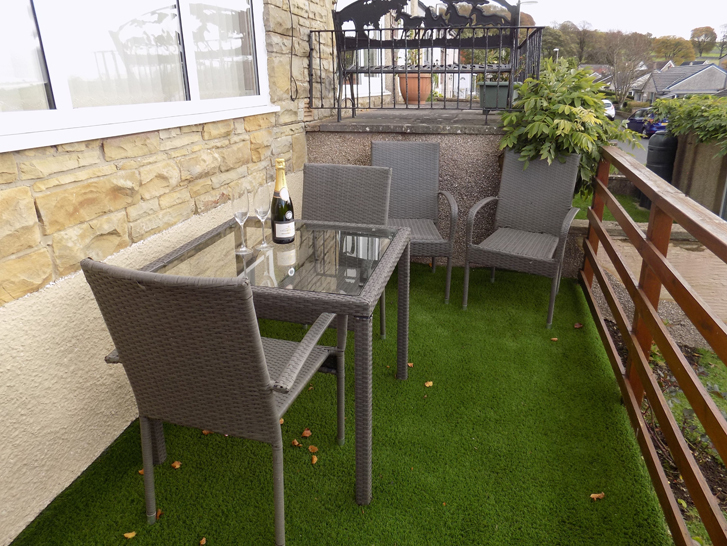 Outside: The property has garden surrounding it on three sides with plenty of space to sit outside during the warmer weather (outdoor furniture provided). Off-road parking for a car on the drive. Bike storage is available in the owner’s garage. Additional information: Heating, electricity, towels and bed linen are included in the price. Sorry no dogs or pets are allowed.